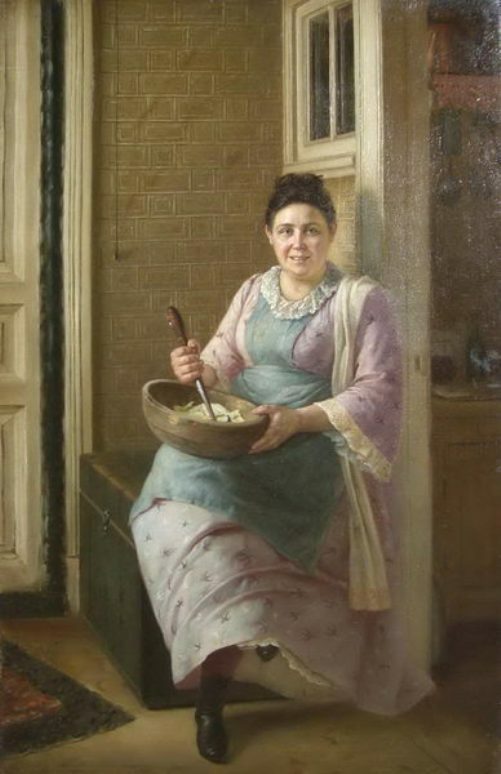 Russian genre painter Firs Zhuravlev (10 December 1836 – 04 September 1901) was an academician of the Imperial Academy of Arts, member of the “revolt of fourteen”, one of the founders of the St. Petersburg Artel of artists. 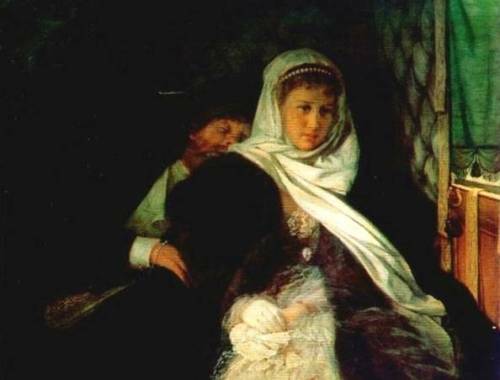 Firs Zhuravlev was born in 1836 in Saratov. 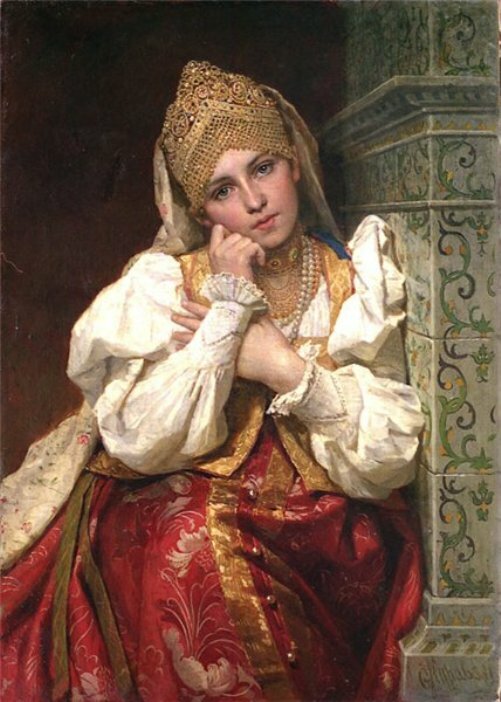 He studied painting at the St. Petersburg Academy of Arts. 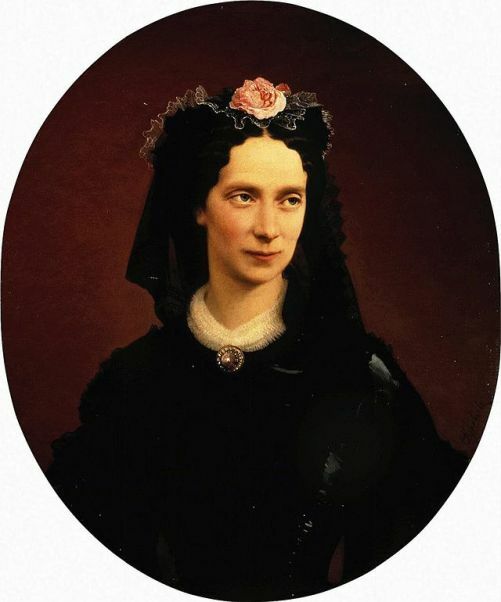 While studying at the Imperial Academy of Arts was repeatedly awarded medals “For success in drawing”: in 1858 and 1860 – small silver, 1860 and 1862 – large silver. 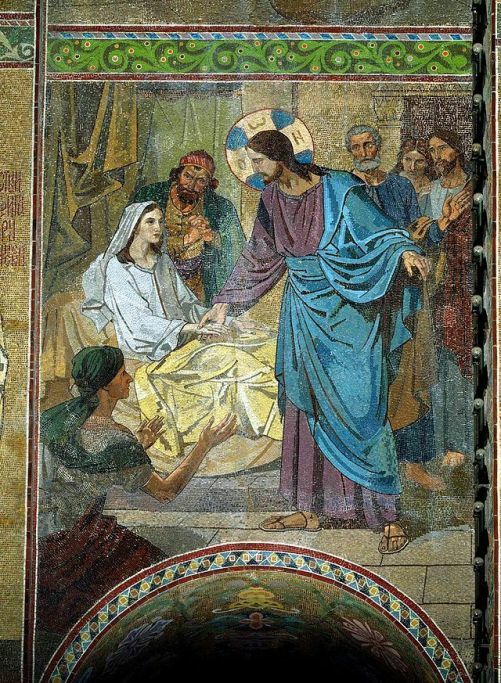 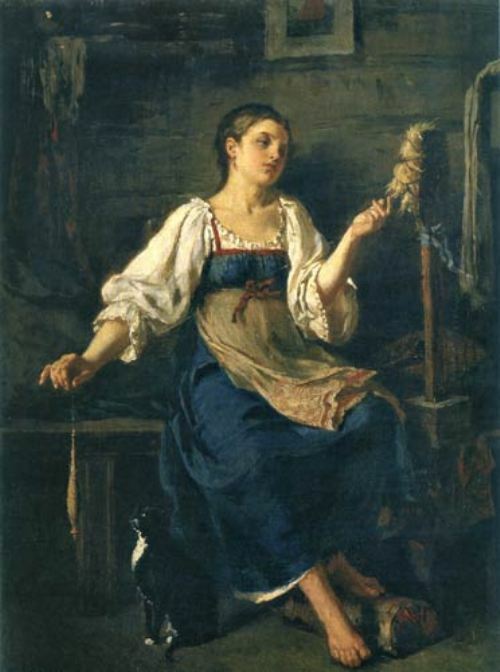 In 1862 he was awarded a small gold medal for the painting “The lender takes the property of the widow.” In 1863, refused to participate in the competition for the Grand Gold Medal of the Imperial Academy of Arts (“revolt of fourteen”), filed a petition to withdraw from the Academy and received the title of class artist of the 2nd degree. 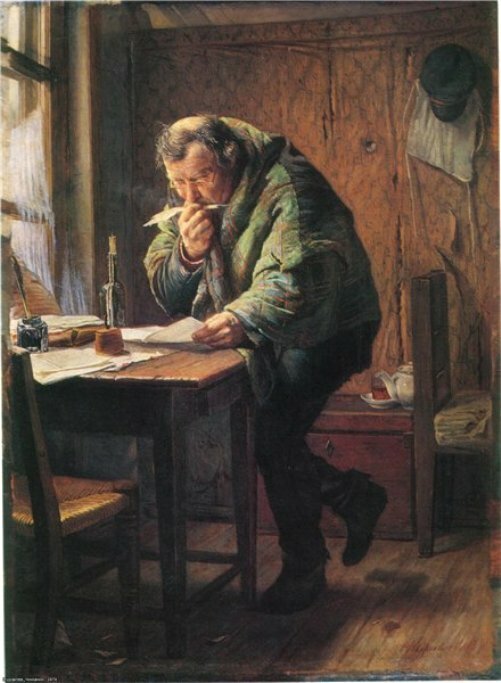 Firs Zhuravlev – one of the founders of the St. Petersburg Artel of artists. 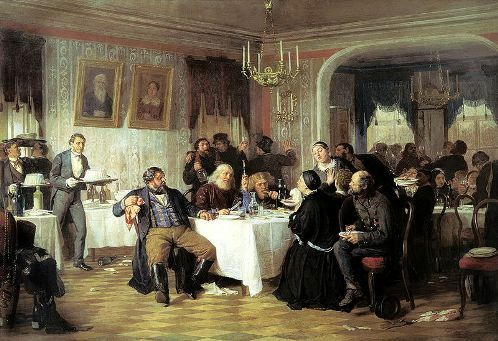 Together with I. N. Kramskoy and four other artists: B. 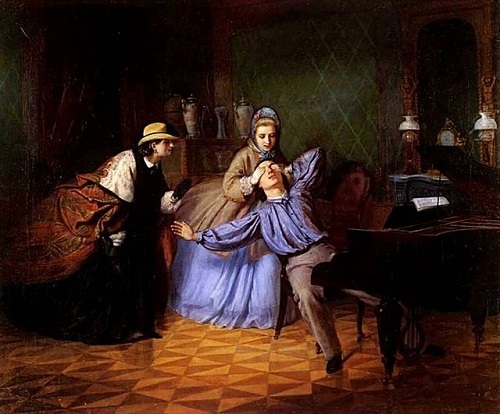 B. Wenig, A. K. Grigoriev, AI Korzukhin and N. S. Shustov settled in an apartment in the apartment house of Gudkov on the 17th line of Vasilievsky Island forming a kind of commune with the common workshop. 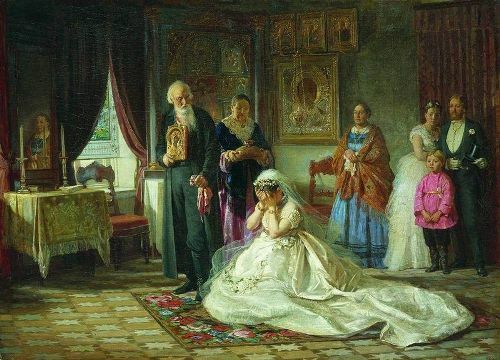 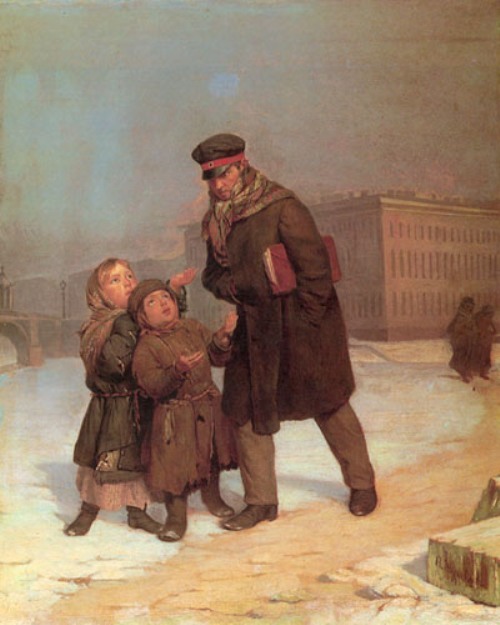 In 1868, Firs Zhuravlev presented his painting at the Academic exhibition – “The arrival of a cab home” and “Return from the Ball”, for which he was given the title of class artist of 1st Class “on painting of folk scenes.” In 1874, for paintings “Before the Wedding”, “Porter”, “Stepmom”, “Girl with Hens”, “Piper” and a series of portraits was awarded the honorary title of Academician of the Imperial Academy of Arts. 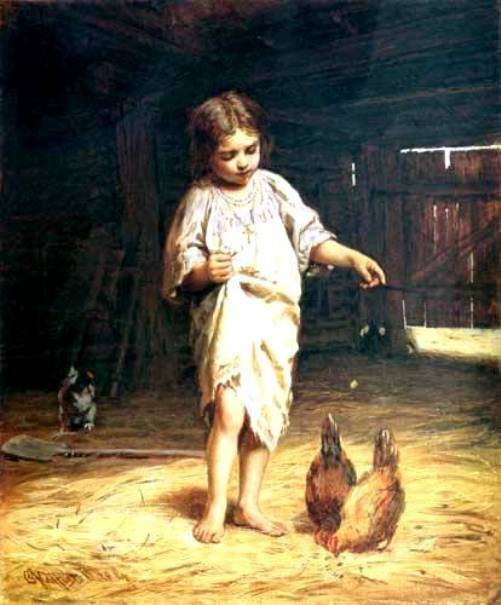 In the years 1888-1889 he exhibited his works at exhibitions of the Association of Traveling Art Exhibitions. 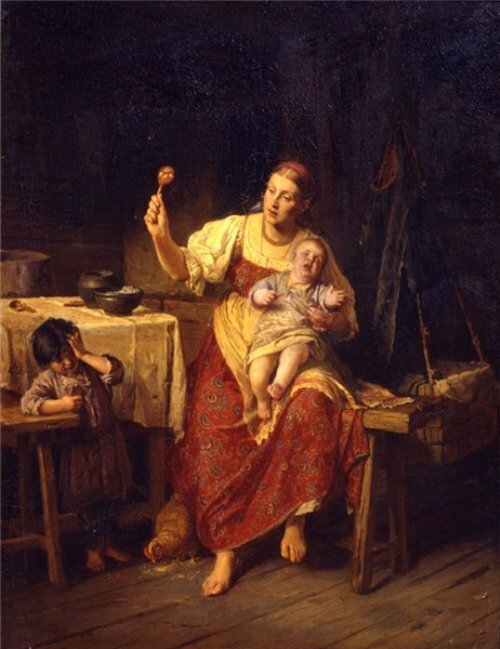 Participated in the World Exhibition in Philadelphia in 1876, Paris in 1889 and the Russian industrial and agricultural exhibition in Nizhny Novgorod in 1896. 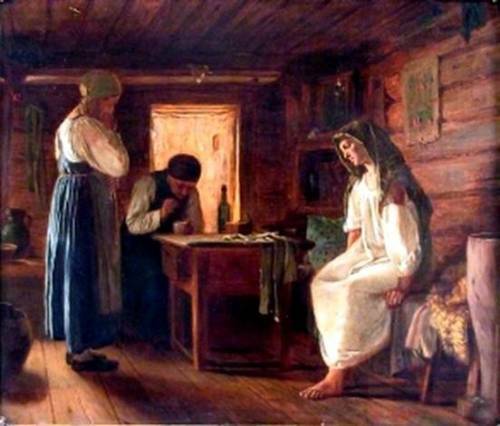 Russian genre painter Firs Zhuravlev is known for several paintings, the plot of which is taken from the merchant life. 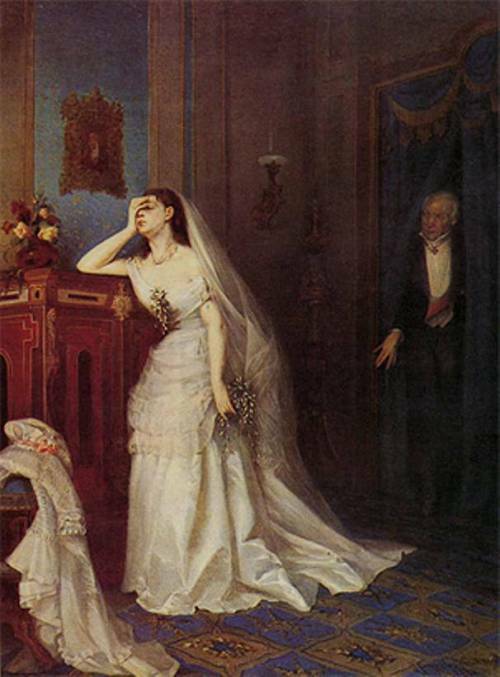 “Merchant funeral” – multi-figure painting, full of fine observation (1876), “The Blessing of the Bride” – a scene with almost dramatic content, with great artistic merit (1878), also of merchant life. 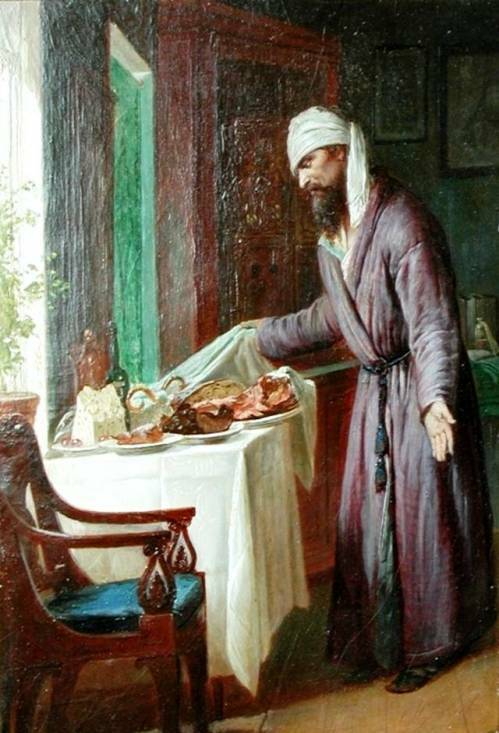 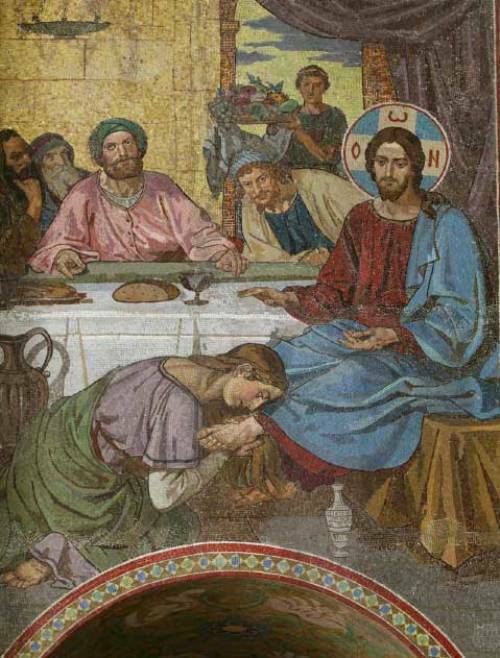 Zhuravlev draw individual shapes, snatched right out of reality, such as “Waiter”, as well as portraits (Father John of Kronstadt).